DOTA 2: Auto Chess recently crossed 6 million subscribers, and while everyone is waiting for Valve to announce something, Drodo Studio announced that Auto Chess will be available on the mobile soon, but it will be released as a stand-alone. Drodo Studio believes that Auto Chess will be as popular on the mobile. There is no doubt that a lot of people will play it on mobile. A massive portion of the Auto Chess player base comes from DOTA, but the game has its own player base as well. The mobile version might not be as popular as the original mod but it will be able to create its own player base as a stand-alone. Drodo decided the game will not use any Valve characters and release with its own heroes or characters., which means the mobile version has nothing to do with DOTA. This might not attract a lot of DOTA players to the game but they do have the PC version. The mobile game is already available for pre-registration on IOS and Android in China right now. Drodo is building the mobile version in partnership with developer Dragonest, the studio is taking sign-ups now. However, it does not have an official release date yet. Auto Chess was released as a mod and Drodo now want to release it as a stand-alone before any other studio does that. As a mod, the game was released as a free idea and any studio can make a spin-off and release it as a stand-alone. This has happened before when Warcraft 3 Mod: DOTA 1 gave birth to Valve's DOTA 2 and Riot's League of Legends. With a mobile release from the original developers will end any competition on the mobile platform for Auto Chess. It will also appeal to players who are interested in the game because of the mechanics and not because of DOTA 2. As Valve, is already providing development support to the mod, the mobile version might just be a hint for the bigger event. 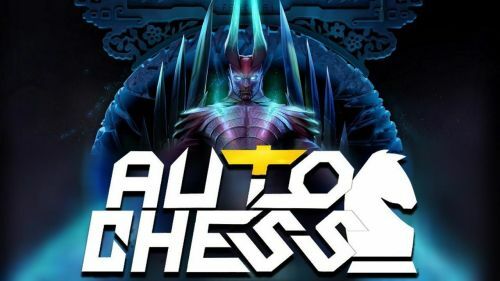 Auto Chess Mobile: What Can we expect?